NEASPEC Secretariat in partnership with Innovative Green Development Program (iGDP) organized the side event "Accelerating the Transition Towards Low Carbon Development in North-East Asian Cities in the Context of SDGs" on 30 March 2018 during the Asia-Pacfic Forum on Sustainable Development 2018. 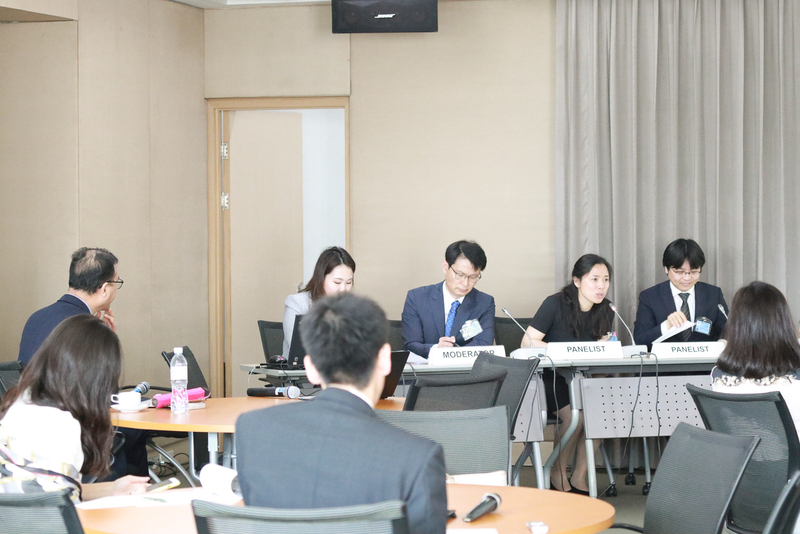 This side event showcased and discussed city’s transition towards low carbon development in North-East Asia. Accelerating the transition is an imperative pathway to build a resource-saving, environmental-friendly and sustainable energy-supported society, thereby supporting the achievement of SDGs, particularly goal 7 (Affordable and clean energy), goal 11 (Sustainable cities and communities) and goal 12 (Responsible consumption and production). North-East Asian countries have made a considerable progress in low carbon city development through various programs, initiatives and projects. Considering strong policy coherence between low carbon development and sustainable development, this side event discussed how to successfully develop low carbon city strategies and plans with the full consideration of achieving SDGs. This side event also provided a knowledge sharing and peering-learning platform among different stakeholders to communicate their considerations and practical experiences in low carbon city development in the context of SDGs.